Christmas Crackers on sale NOW! Thank you so much to the many volunteers who came together to make our YANA Christmas Crackers! 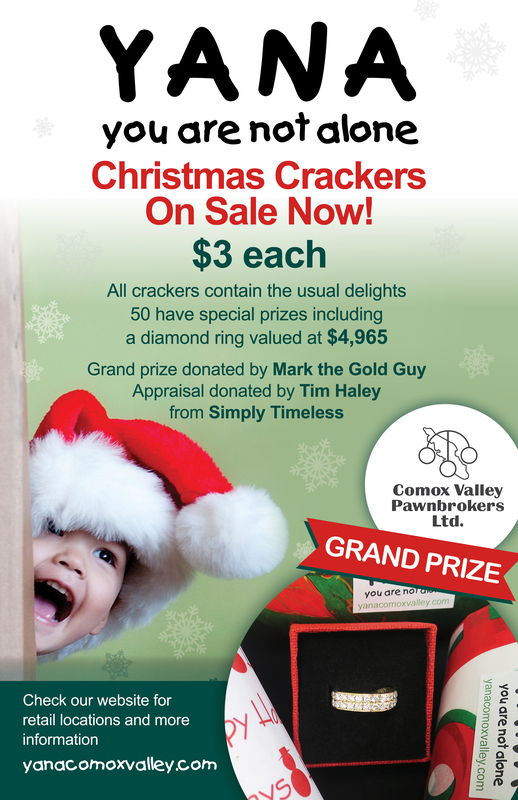 They are available for $3.00 each throughout the Comox Valley. Click here to find out where you can get yours.